This ice maker is used throughout the appliance industry in many different brands and models including Sub-Zero, Amana, Maytag, Kenmore, Frigidaire, Electrolux, and others. Download this diagram and keep it handy. Better yet, bookmark Fixitnow.com! 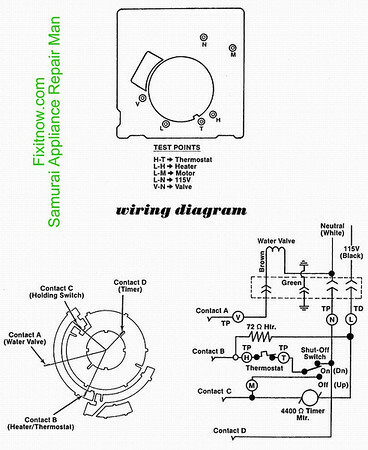 This entry was posted in Ice Maker Repair, Refrigerator Repair, Wiring Diagrams and Schematics on September 5, 2010 by Samurai Appliance Repair Man.